Curly and I enjoyed reading the first book in the Diary of a Real Payne series from Barbour Publishing and then we had the opportunity to review the next book in the series – Diary of a Real Payne: Church Camp Chaos. The story follows 11-year-old Emma Jean Payne (EJ) as she survives a summer filled with friends, mystery, family situations, church camp, and all-around-chaos. Throughout the story there are excerpts from EJ’s diary as she writes about her adventures. The reader is also treated to imaginative daydreams that EJ invents – such as being a famous alligator hunter, a pirate, naval commander, famous golfer, and successful realtor. EJ’s summer begins with a trip to the Mall of America with her grandparents and her sometimes obnoxious little brother Isaac. Once they return, it’s discovered that Isaac has the chicken pox and soon after, EJ is sick also. Thankfully she is well in time to attend a week long church camp. While she’s preparing to leave for camp she notices that her parents are secretive and meetings they must attend and they are unusually emotional. EJ begins to fear that something is wrong and she is worried that they might be moving away from her hometown – and her best friend. As EJ leaves for church camp, she takes her doubts and fears with her. Through the wisdom of a fun camp counselor, EJ is encouraged to trust God for any situation and put her faith fully in Him. During her week of camp a letter arrives from her parents to tell her some exciting news – and it’s not what she feared. She’s relieved with the news and she’s also excited about the upcoming adventure. Through her camp experience she learned that God is big enough to handle her worries and that a life of faith can calm both fears and chaos. Once Curly was done with the book it was my turn to read through it. While I enjoyed the first book in the series, I have to say I found myself laughing out loud several times as I read. EJ’s summer experiences are memorable and fun. I especially enjoyed her short snippets of silly daydreams interspersed throughout the book. My hands-down favorite was when she and another camper were on the bumper boats and gunning straight for the boat captained by EJ’s little brother. EJ concocts a silly scenario in her head where her brother is the pirate captain “Weird Beard” who has a pet dinosaur on his shoulder. EJ’s boat rams “Weird Beard’s” boat and sends him sailing into the dock where the camp counselor is knocked into the water with a splash. I appreciated the way the book treated family relationships and showed a loving family who works together and endures different situations together. EJ and her brother don’t always get along but their parents encourage them to be kind and EJ grows to appreciate her brother and even his slightly obnoxious attempts at humor. I enjoyed the life lessons that EJ learned about trust, faith, and friendship and am glad that I can find books for my daughter to read that are humorous and fun while still promoting good values. This is such a fun series! We can’t wait to read more about EJ soon! They are cute and funny. Curly is the perfect age for them right now. They have good messages and are books that I'm comfortable handing over to her. 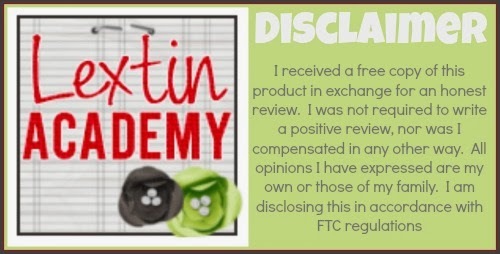 Lexi, thanks for your review! And thanks for laughing along with me in EJ's adventures. Truthfully, I think book 3 is even funnier than the first two (although, I may be a little biased…). You're welcome! Thanks for letting us review the book! My daughter really enjoyed it. We are looking forward to the next book!